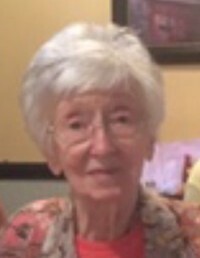 Regina P. Tomerlin, age 92, of Lawrenceburg, TN passed away Thursday, November 22, 2018 at NHC Healthcare of Moulton. She was a native of Lawrence County, TN, retired from the Credit Bureau, former telephone operator for a number of years, and a member of First Baptist Church Lawrenceburg. She was preceded in death by her parents, Jim and Elizabeth Adair Pullin; her husband, Carl Tomerlin; one daughter, Janice Carol Tomerlin; and one brother Donald Pullin. Arrangements are being handled by Neal Funeral Home, 231 N. Military Avenue, Lawrenceburg, Tennessee. The family will receive friends from 4:00 PM to 7:00 PM Sunday, November 25, 2018 at Neal Funeral Home. Funeral services will be conducted at First Baptist Church Lawrenceburg at 11:00 AM Monday, November 26, 2018, with Jeff Vanlandingham officiating. Interment will follow at Mimosa Cemetery in Lawrenceburg, TN.